Avengers: Infinity War was, without doubt, one of the best blockbusters of the year so far. The film will soon be debuting on home entertainment platforms and with that comes some exclusive new Steelbooks to add to your burgeoning Marvel collection from Zavvi. Always ready and willing to feed the needs of collectors everywhere, Zavvi have once again got a Steelbook exclusive for Avengers: Infinity War. They’ve just revealed the artwork for the Steelbook, and have a few copies of the sought-after 4K Ultra HD Steelbook available to pre-order now. You can check out our 5 star review of Avengers: Infinity War here. Along with the artwork reveal for Avengers: Infinity War 4K, Zavvi are also launching two new 4K Ultra HD Steelbooks for Avengers Assemble and Avengers: Age of Ultron with new artwork to boot. The Avengers Assemble 4K Ultra HD Steelbook features Thor, Iron Man, Captain America, Black Widow, Nick Fury, Hawkeye and The Hulk on the cover, with the Tesseract on the back cover and a still of Iron Man using his lasers for the middle image inside the Steelbook. 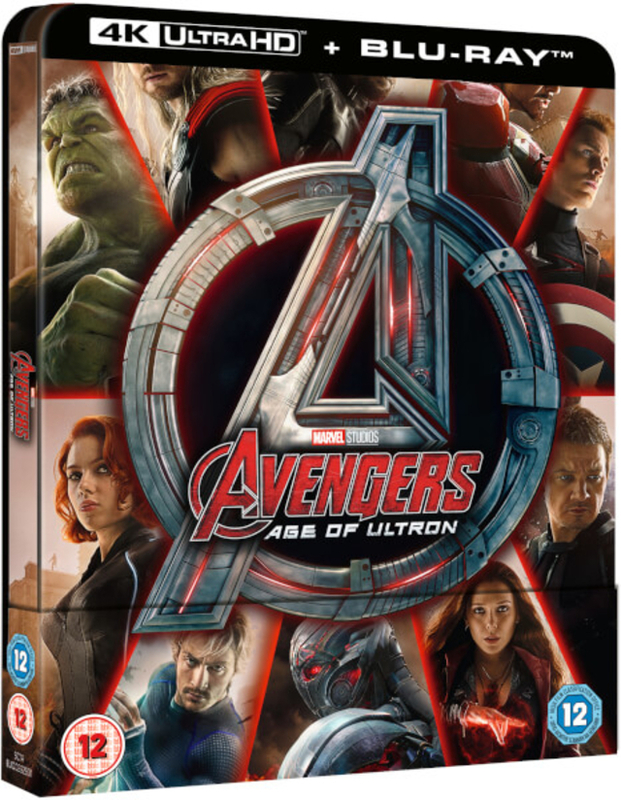 Following suit, the Avengers: Age of Ultron 4K Ultra HD Steelbook has The Hulk, Thor, Nick Fury, Iron Man, Captain America, Hawkeye, Scarlett Witch, Ultron, Quicksilver and Black Widow on the cover in a similar design layout. The back cover has Ultron side-on and the middle image is an aerial shot of Iron Man getting parts of the Hulkbuster suit assembled in mid-air. Check out our reviews of Avengers: Age of Ultron , Captain America: Civil War and Black Panther to get a more complete Marvel picture ahead of the home entertainment release of Avengers: Infinity War. The Avengers Assemble 4K Ultra HD Steelbook and the Avengers: Age of Ultron 4K Ultra HD Steelbook are both available to pre-order now from Zavvi with a release date of 24th September 2018, at £27.99 each. 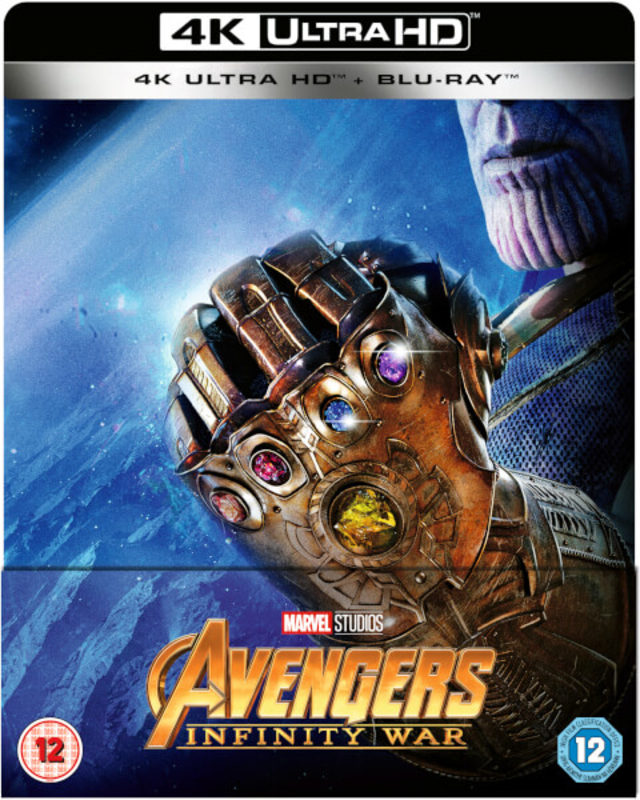 There’s a TBC release date of September 3rd 2018, and you can pre-order Avengers: Infinity War 4K Ultra HD from Zavvi at £32.99 each. 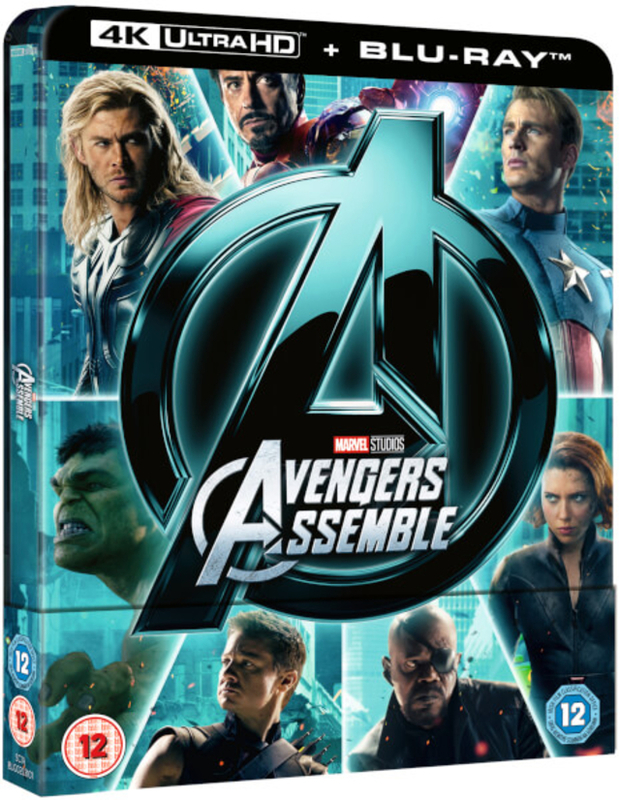 You can check out the main box art images for Avengers Assemble and Avengers: Age of Ultron below, along with the newly released final artwork for the Zavvi exclusive Avengers: Infinity War 4K Steelbook.